Full Color Yard Signs The latest technology, four color process, called full color signs. Also small quantities like 5 or 10. 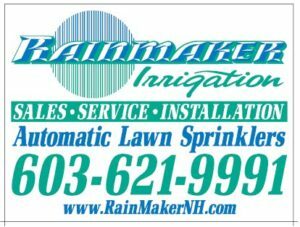 Click Above for our low prices and other information for cheap advertising. See below chart for Wholesale Pricing details. We have the lowest election yard sign prices on the Internet. Political Yard Signs win Elections! Wire stands are extra. Note the sign industry is moving towards using shorter wire stands. The shorter wire stands cost less due to less steel, and shipping charges are also significantly less. The short stands like the 6×24 are very strong and withstand wind very well. We still stock the popular standard 30 inch wire stands. For quantities of 5,000 or more, call us at 321-253-0424. You’ll get the best price in the nation, guaranteed! Printed on durable, corrugated material, these cheap political corrugated plastic signs are guaranteed to last at least two years! We offer free advice on designs from the experienced business sign printer, the conservative sign company. We collect sales tax for wire stands for AL, CA, CT, DC, FL, GA, HI, LA, MA, MD, MS, and TN. We have the best prices on the internet for quality wire stands and we do not sell junk like a 6×15 wire stand that questionably works, and our wire stands are quality and will last for years. Note the sign industry is moving towards using shorter wire stands. The shorter wire stands cost less due to less steel, and shipping charges are also significantly less. The short stands like the 6×24 are very strong, withstand wind very well and are also a popular choice. We still stock the popular standard 30 inch wire stands. Also beware of cheaper made wire stands from China. They are cheap in price and in quality. They break at the wells very easily. Before ordering wire stands from any one, ask where they are made and save yourself grief by avoiding the China made wire stands. OUR WIRE STANDS ARE MADE IN THE USA. Beware of cheap Chinese made wire stands. Recently America has been flooded with cheap substandard wire stands from China. The quality is inferior and the wire stands easily break. Before you place your order for wire stands anywhere, insist on getting high quality American made wire stands or frames. Those companies offering free wire stands, normally give you the Chinese made that easily break. Others offer the 6 x 15. These are only 15 inches tall, with one connecting bar between posts, and the sign sits on the ground. Being low on the ground and grass in front of it, the sign is difficult to see, thus defeating the purpose of the sign. These stands will hold the sign up and for those on a tight budget, we will provide them to you. For those offering free stands, the 6 x 15 is normally their special. For these larger signs, you may wish to obtain 5 or 6 foot steel poles at your local hardware store or Lowes. Most people also get inexpensive electrical tie wraps to mount to steel pole. Grommets can be added for $0.46 cents each. Union Made Signs: Contact us for jobs requiring made by union label or union bug. You can have your design done on several different colors of coroplast, including white, yellow, blue, red, and others. Call for details and pricing on other than white coroplast. Remember, the color of the coroplastic board doesn’t count in the number of colors of ink. Create your own political yard sign from the business printer maker of yard signs! Click Here here to go to the order form. Turnaround time is generally two weeks, or longer for complicated orders. For assistance, call us at 321-253-0424 or e-mail us at tencommandmentsigns@yahoo.com. The artwork fee must be paid before we begin working on the artwork proof. 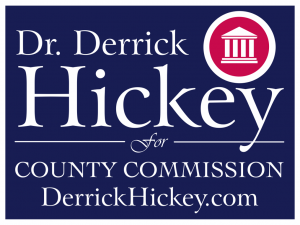 All other costs are due before the campaign signs are printed. Click Here Yard Sign Printer to pay your artwork fee by credit card so your work can begin. Consider Poly Bag Signs for a high volume campaign. Prices dramatically drop in comparison to other signs once you get above 1,500. If you are looking at 3,000 to 5,000, you will be amazed at these cheap prices below a dollar a sign. NEW – High quality Plastic Sign Stands These new plastic sign stands are clearly a higher quality than the steel sign stands. They are stronger, thicker, and re-usable. Commonly used for real estate and when you need something that will last for months and will withstand strong winds. A wonderful alternative to “H” wire stands, these plastic sign stake stands are made from high density plastic, reinforced with fiberglass and manufactured with a minimum of 90% recycled materials. 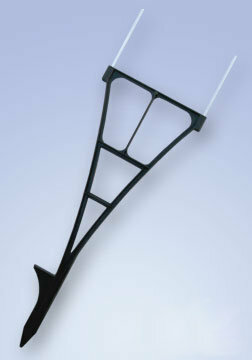 These stakes are designed to be flexible and bend under wind load. They have less weight than steel and therefore they cost less to ship. Available in black only. Minimum order is 50 stakes and shipped in multiples of 50 or 150.